On July 25th, 2018, the Miami Herald reported that Florida Attorney General Pam Bondi and the United States Drug Enforcement Administration (DEA) have announced the shutdown of an alleged prescription drug “pill mill” in South Florida. According to a news release from the Florida Office of the Attorney General, doctor Armando Falcon operated a pain management clinic in Miami-Dade County through which he allegedly sold illegal prescription drugs. In this post, our Miami prescription drug fraud lawyers explain the charges being filed in this case. Florida prosecutors and federal drug enforcement officers allege that Mr. Falcon was using his Cutler Bay, FL pain management clinic as a cover to illegally offer expensive prescription drugs to patients who did not have a medical need. According to the information provided to the press, the evidence in this case was largely gathered through the use of undercover law enforcement officers and the subpoena of bank records and business records. Florida Attorney General Pam Bondi alleges that Mr. Falcon met with approximately 25 ‘patients’ per day over a three-year period. Prosecutors contend that each meeting lasted for no more than two minutes on average. Prescription painkillers, including the potentially dangerous drug Oxycodone, were offered to patients without adequate medical justification. Notably, prosecutors allege that people who went to the clinic were asked to pay for the prescription drugs in cash. This raised red flags with investigators. With the opioid epidemic ravaging communities all across the United States, law enforcement agencies around the country have been applying increased scrutiny to prescription drugs. Many regulators have even explicitly stated that they will be targeting so-called ‘pill mills’. A doctor (and staff members) could potentially face very serious criminal drug trafficking charges if law enforcement officers believe that their clinic is merely a cover for a fraudulent prescription drug distribution operation. If controlled substances (typically painkillers) are being offered without proper medical justification and outside of the scope of normal medical practice, criminal charges may be brought by law enforcement and prosecutors. Notably, in investigating these cases, law enforcement officers often look for ‘red flags’ that indicate that something is ‘wrong’. Among the most common red flags are suspiciously structured financial transactions. Of course, sometimes supposed red flags are entirely misleading. Not all charges are legitimate. If you or your loved one has been charged with prescription drug fraud as part of a ‘pill mill’, it is imperative that you consult with an experienced Miami criminal defense lawyer immediately. 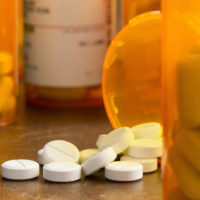 At Ratzan & Faccidomo, LLC, our top-rated criminal law attorneys have the skills and experience required to handle the full range of prescription drug fraud cases. If you or your family member is facing any type of prescription drug charges, please contact our law firm today for immediate assistance. From our office in Miami, we represent defendants throughout the region, including in Miami Beach, Hialeah, Opa-Locka, Palm Springs North, and Miami Gardens.